For connoisseurs of art and culture, Panchkula in Haryana was the place to be last week. This small township in the northern part of the country was host to the gala Silver Jubilee celebrations of the seven Zonal Cultural Centres (ZCCs) of the country. For four consecutive days, the Panchkula parade ground became the perfect setting for visitors and families from the nearby towns and areas to converge and soak in the vibrancy of India’s rich culture and tradition laid out in front of them in a nutshell. 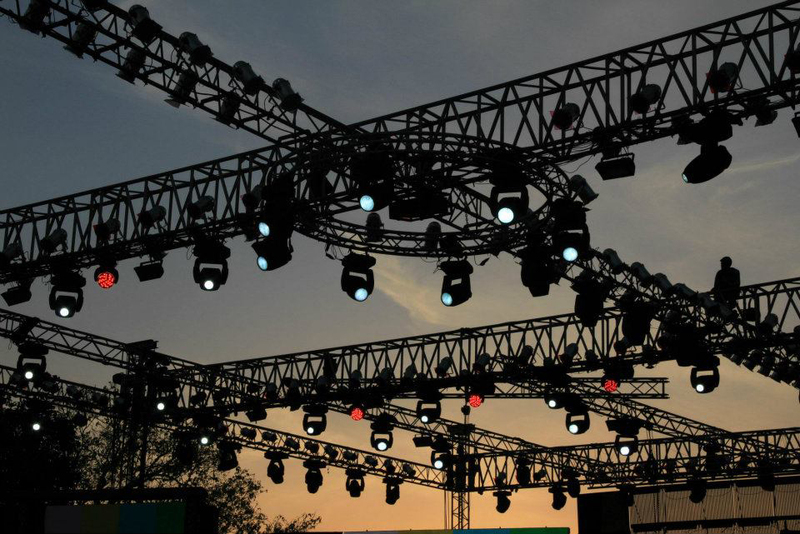 The seven ZCCs had constructed their own special villages where they displayed the entire spectrum of the culture of the various communities in their zones, much to the delight of the thousands who thronged the venue, despite the storm that lashed Chandigarh earlier this month. 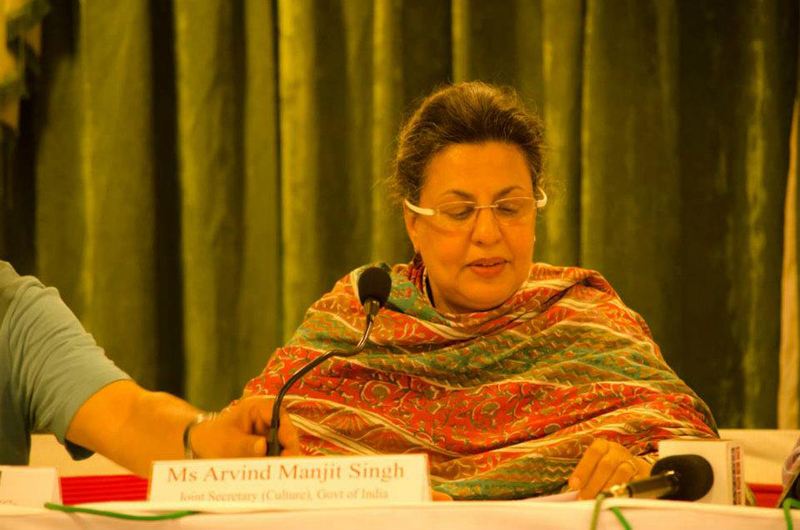 The festival, titled ‘Matti ke Rang’, was inaugurated by Prime Minister Manmohan Singh in the presence of AICC president Sonia Gandhi and Minister for Culture Kumari Selja. For those who are unacquainted with the functioning of the ZCCs, these cultural centres were conceived by former Prime Minister late Rajiv Gandhi in a bid to promote national integration by disseminating the vibrancy India’s culture to its people in the rural areas. The foresightedness of our former Prime Minister can be gauged from this very act of his. He was one of the first to realise that the diversity of our country is “a practical reality and not just a theoretical concept”, and that culture is the most suitable tool that can be used as the base for national integration. For culture has the capacity to reach across to people, cutting across barriers of time, space, language, values and traditions. The Zonal Cultural Centres (ZCCs) were set up 25 years ago in second-tier towns of the country so as to reach the people in the grassroots. Since its inception, these centres have been working towards its objectives to preserve, innovate and promote the projections and dissemination of folk arts, cutting across regional cultural borders and bring about unity through culture. 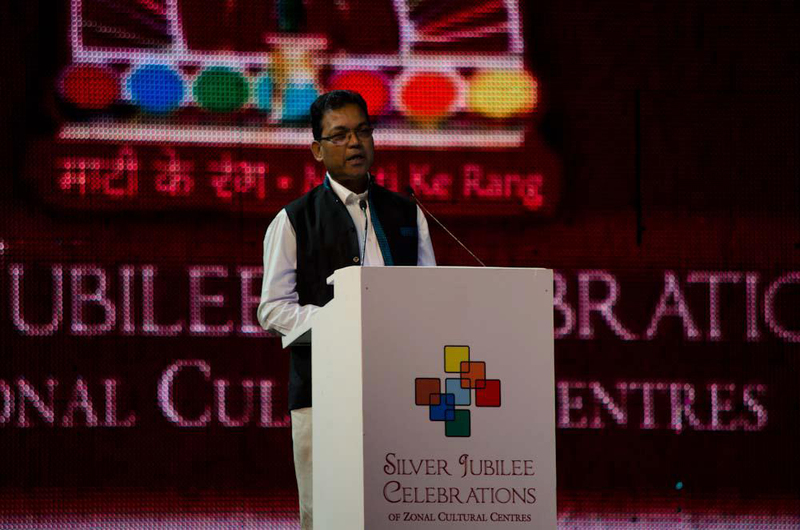 The seven overlapping zones comprising the Zonal Cultural Centres have promoted, cross-promoted and created opportunities for cultural exposure and awareness among the people of different states and regions. With the philosophical implication that the number 7 has, the seven ZCCs epitomizes a celebration of cosmic time and space. The seven ZCCs are North Zone Cultural Centre, Patiala, South Zone Cultural Centre, Thanjavur, Eastern Zonal Cultural Centre, Kolkata, West Zone Cultural Centre, Udaipur, North East Zone Cultural Centre, Dimapur, North Central Zone Cultural Centre, Allahabad, South Central Zone Cultural Centre, Nagpur. The North East Zone Cultural Centre, which encompasses the eight States of Assam, Arunachal Pradesh, Meghalaya, Mizoram, Tripura, Nagaland, Manipur and Sikkim, is based in Dimapur. With a competent staff led by a dynamic director in the form of Som Kamei, the Centre has been organizing a number of intra and inter-cultural events in all the States of the country, and even abroad. In Guwahati, the centre organizes regular events through its amphitheatre Shilpgram, which is located adjacent to the Kalakshetra. 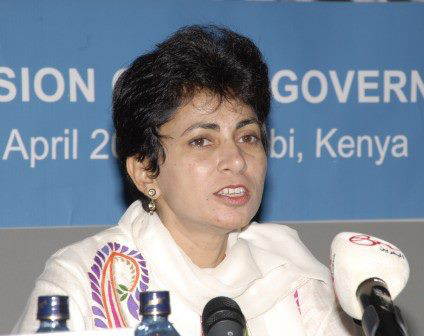 Although the seven ZCCs did have a bleak period it between, it was able to rejuvenate itself and make a major contribution in the process of nation-building. The fact that it was able to complete 25 years did warrant a mega celebration, which resulted in the Silver Jubilee celebrations in Panchkula as it was. When I say the Silver Jubillee celebrations were a gala affair, I mean every word I say. 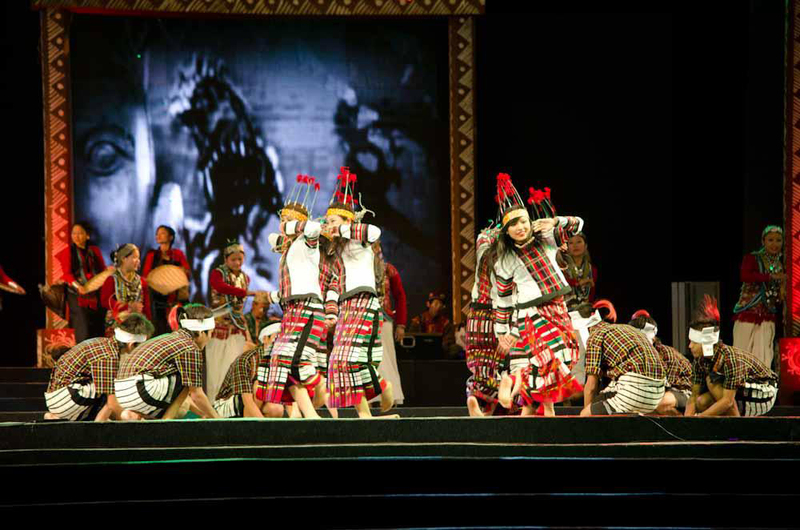 For the choreographed performances of the cultural event at the main stage, which were based on more than 15 singing forms and 12 martial arts, were performed by more than 1000 performing artists alone! During the day there were more than 30 art form performances being simultaneously enacted within seven Mini villages of all the seven Zonal cultural Centre of India. Large crowds thronged the courtyard of mini villages of the Seven Zonal Centres to purchase exquisite traditional items from various parts of the country. But the major highlight of the entire event was the food streets where the special cuisine of each zone was laid out for the visitors. Offering traditional and sumptuous food, the food area was undoubtedly the most sought after area during the entire celebrations. The master craftsmen who were ferried from the different nooks and crannies to set up their stalls also made brisk sales. A number of popular and eminent arts performed across all four days of the celebrations. The highlight of the festival, however, was the concluding day ceremony when the audience was able to witness the entire spectrum of the country’s culture on a common platform. The choreographed dance presentation of the final day included the famed Chanting form of Sikkim, Thumchen from Jammu & Kashmir, Sankh Vadan from Orissa, Algoza from Rajasthan, Baul Kirtan from West Bengal, Bhortal from Assam, Jangam Gayan from Haryana, Bhakan from Jammu & Kashmir, Dhadhi from Punjab, Tati singers from Nagaland, Nirgun Bhajan from Rajasthan, Kajri Gayan from Uttar Pradesh, Golparia musical instruments from Assam and performance of Langa Mangniar singers from Rajasthan. An exemplary martial arts display was also a major highlight of the celebrations as martial warriors from various parts of the country – Akhada wrestlers of Madhya Pradesh, Dahal Thungri from Assam, Dand Patta from Maharashtra, Diwali of Uttar Pradesh, Raibanshe of West Bengal, Dandia Gair of Rajasthan, Talwar Raas of Gujarat, Ruk mar Nacha of Odissa, Kalaripayattu art from Kerala, Naibul Thangta of Manipur, gatka of Punjab and Silambattam martial Art from Tamil Nadu – performed together on stage in perfect synchrony. 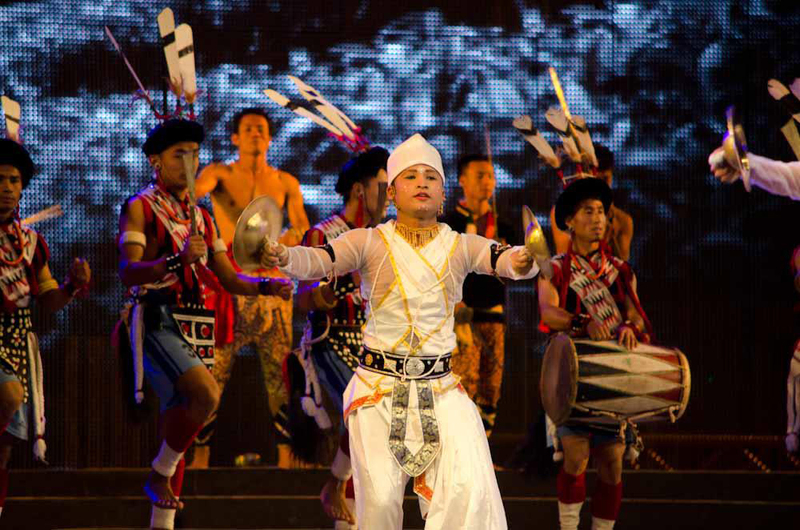 Northeast India, too, was beautifully represented by the Dimapur-based North East Zone Cultural Centre, which had facilitated the travel and performance of a more than 2,000-member troupe for the festivities. 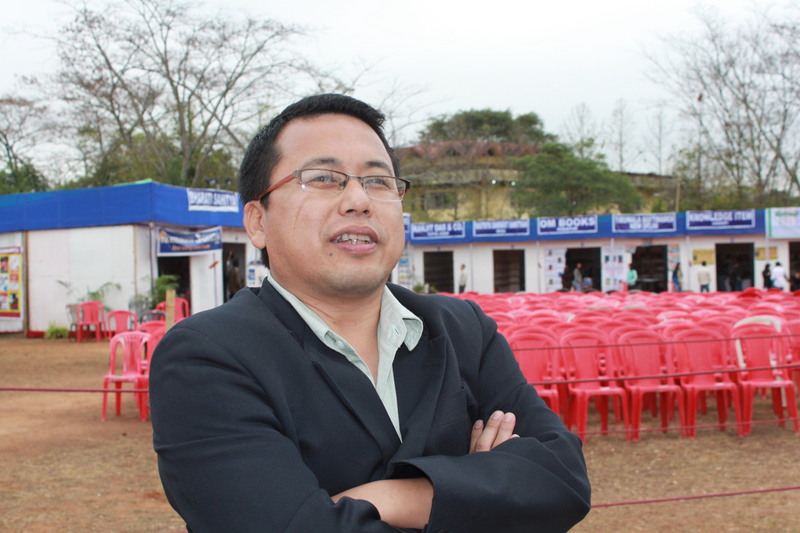 Thanks to the able leadership of its chairman Nagaland Governor Nikhil Kumar and its director Som Kamei, the Silver Jubilee celebrations had begun in the twin cities of Dimapur and Jorhat last month itself. A Special North-eastern Folk music and Dance presentation, depicting the rich and unique cultural milieu of the region, was also held on the concluding day of the festival. 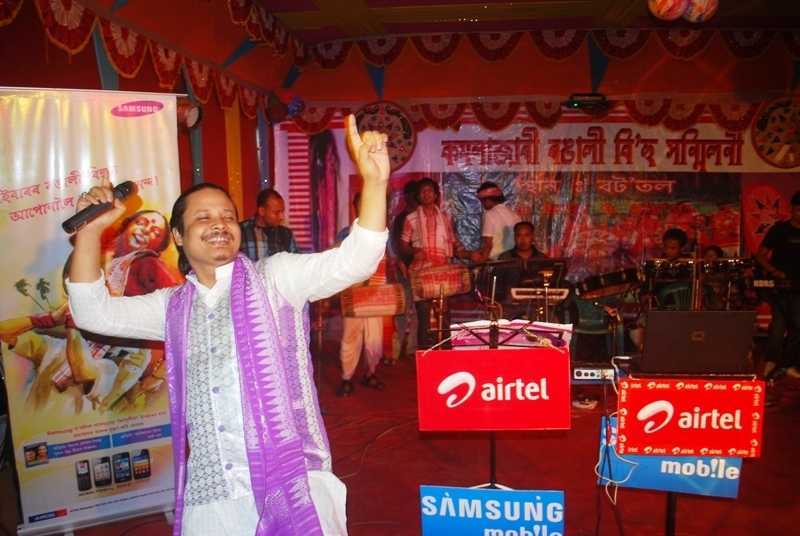 Around tribal music and dance forms were displayed in the event, which was inaugurated by Hon’ble Shri Paban Singh Ghatowar, Minister of State (Independent Charge) for Development of North Eastern Region (DoNER). The dance forms from the Northeast which were displayed during the concluding day celebrations included Maibul Thangta dance from Manipur, Wangla from Meghalaya, Juju- Jhajha from Arunachal Pradesh, Tamang Selo from Sikkim, Ngada dance by Rengma from Nagaland, Barat dance from Assam, Hozagiri dance form of Tripura, Punh Cholam of Manipur, Bro Zai of Arunachal Pradesh, Ka Shad Mastieh of Meghalya, Sangrai Mog from Tripura, Singhi chham dance of Sikkim, Dhol Cholam dance of Manipur and Bohag Bihu dance of Assam. Besides art camps, folk dance, handloom and handicraft exhibition and music performances and cultural exchange events, a major highlight of the three-day celebration in Panchkula was the food festival which sought to display the culture of the varied zones of the country through the prism of its cuisine. And judging from the response of the people, North-eastern food, which has been labelled exotic by many, was a clear favourite. 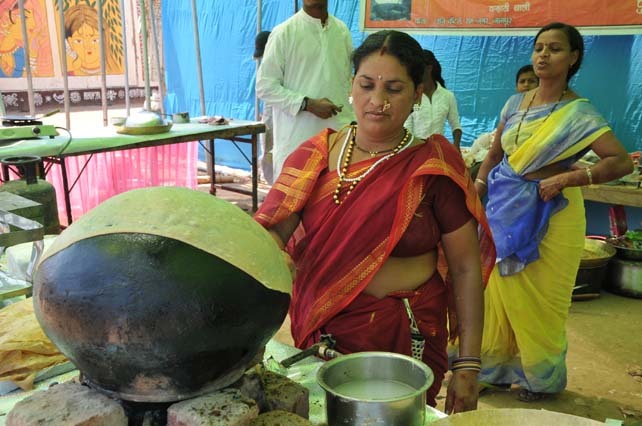 The food street behind each mini village offered a range of traditional cuisines prepared by chefs who were brought in from their zones especially for the celebrations. The North East Zone Culture Centre had also set up stalls for each of the eight States. While the Assamese food stall offered traditional lip smacking delicacies like Black rice Pudding, Chicken coconut rice and Rice beer, the Manipuri food stall offers unheard but very delectable cuisines like Eromba, Sinju, Proautti, Pakoda and Natuga. 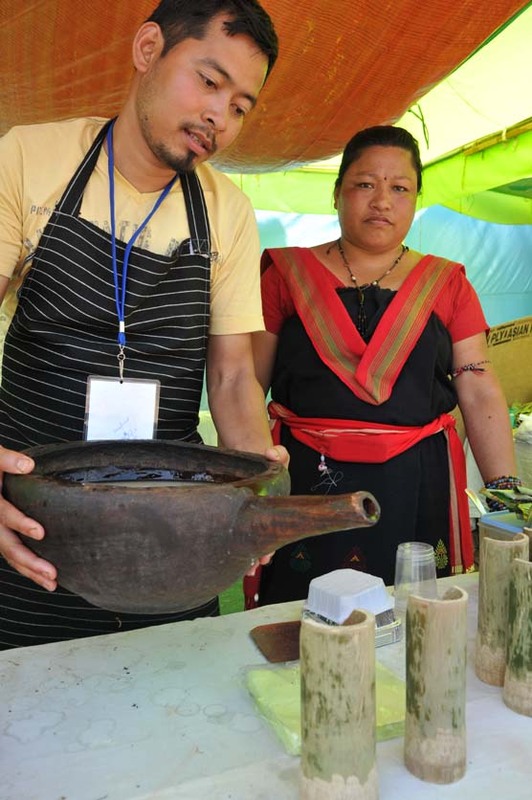 The Naga Food stall was also very popular for its famed Chicken with bamboo shoots whereas the Sikkim food stall offered its range of Special noodles, momos and other Tibetean dishes. Assamese rice powder gur ladoo and til gur ladddoo were also much sought after by the visitors from outside. Not only the Northeast, the other Zones too laid down the best of its fares. While one at the Allahabad food stall couldn’t resist the temptation of tasting the Awadhi Dum Aaloo, Jalebi and the chaat papdi, the Maharashtrian food stall had Jawar ki roti and Baingan ka bharta. The popular Hyderabad food stall also served a variety of non vegetarian and vegetarian Biryani. For any organization, 25 years is a long time to look back in retrospect. As curtains came down on the celebration in the august presence of Hon’ble Union Minister of Culture Kumari Selja and Sh. H.E Shivraj V. Patil, the resolve of the people manning the ZCCs to usher in “development through culture” further deepened. 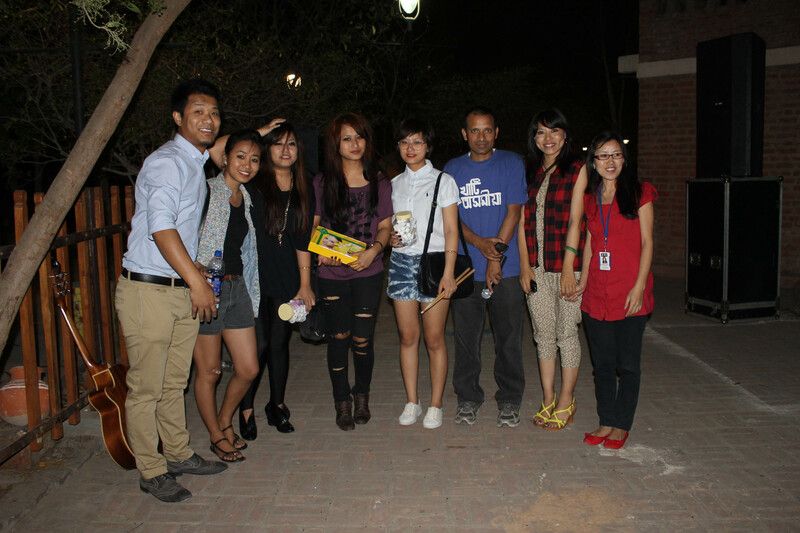 A number of new-age bands from the region performed for the first time in an event dedicated solely to Northeast music. 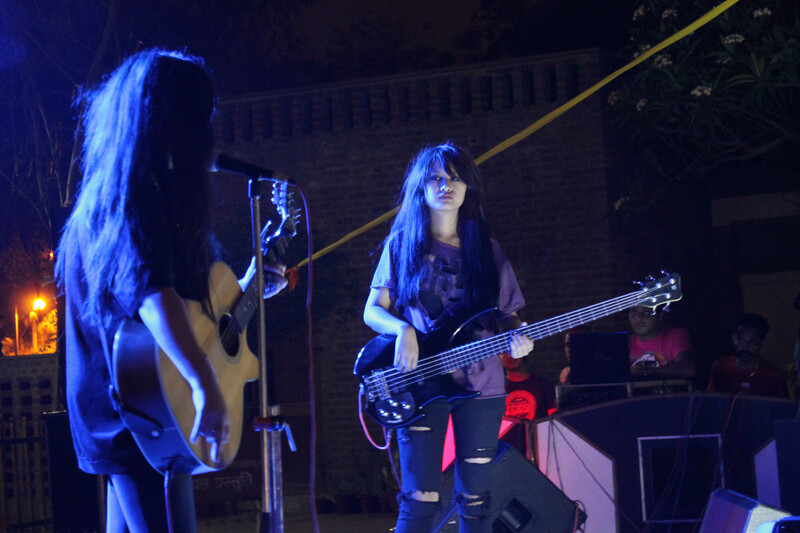 The featured bands included Assamese fusion band Bamboo Groove, Hindi metalcore The Mangalz, Tangkhul girls band Minute of Decay, The Aura, Negative Space and Mizo punk band Frisky Pints. The last day of the three-day festival also featured a Bihu husori competition of more than 50 young women participants from Delhi. A package of the highly applauded diploma films made by Film and Television Institute of India (FTII), Pune’s students, some of whom later became renowned filmmakers, will be showcased at the 2nd Guwahati International Short Film Festival (GISFF) to be held from May 4th to 6th, 2012 celebrating the premier film school’s golden jubilee. The specially-designed Golden Jubilee package, earlier screened at the Mumbai International Film Festival (MIFF, 2012), comprise diploma films made by the likes of Kumar Shahani, Girish Kasaravalli, Vidhu Vinod Chopra, Sriram Raghavan, Rajan Khosa and several others. These films give a glimpse to the early promise that these filmmakers exhibited as student filmmakers who learnt their craft at India’s 1st film school that has over the years churned out many a big talent in both artistic and technical streams of filmmaking. The technical crew of these films also comprised then students of FTII. Some of them later became leading lights of the film industry, such as cinematographers Jehangir Chowdhury, Hari Nair, editors the late Renu Saluja, Rajkumar Hirani, etc. Cine lovers can come and enjoy these award winning short films at 2nd Guwahati International Short Film Festival (GISFF) commencing from May 4th to 6th, 2012 at District Library, Guwahati.